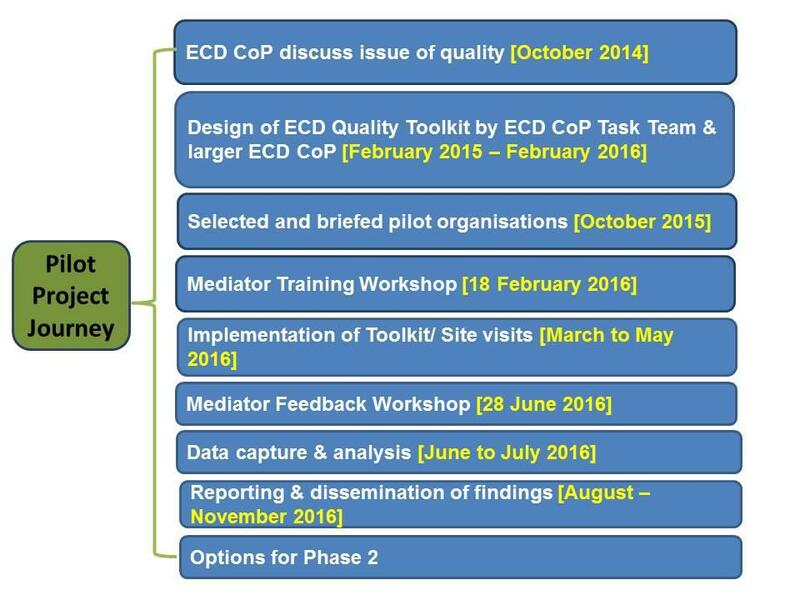 The ECD Quality Toolkit pilot has reached another landmark with the completion of the site visits to the 21 ECD sites involved. Mediators came to a feedback workshop in order to debrief, hear about each other’s experiences, share their views and reflect on the process and tools used in the site visits. Discussion was wide ranging, and covered what mediators learned about practitioner views on quality as well as whether the pilot processes have added to or changed their own views on quality. How different aspects of their contexts influence what practitioners see as quality ECD delivery; and how context affects the quality of implementation at the site. The gap between what is said and what is done: many of the practitioners (in particular the principals) say the right things about quality, but don’t know how to translate these ideas into reality. Lack of understanding around quality assurance, in terms of how to measure and track any progress towards achieving quality delivery. The many elements of quality, which range from financial and physical resources, to practitioner knowledge and expertise, to a number of attitudinal factors. 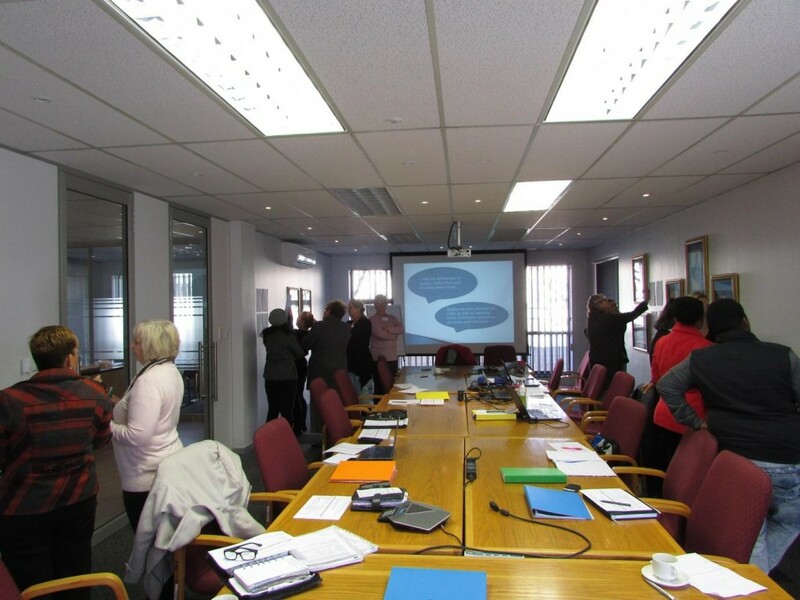 We also had a session on ways forward in relation to the Quality Self-Reflection tool itself, the mediation processes and instruments, and options for rolling out the use of the tool. We will be taking these ideas forward into the next Community of Practice meeting along with further analysis of the data gathered from the site visits. Watch this space! 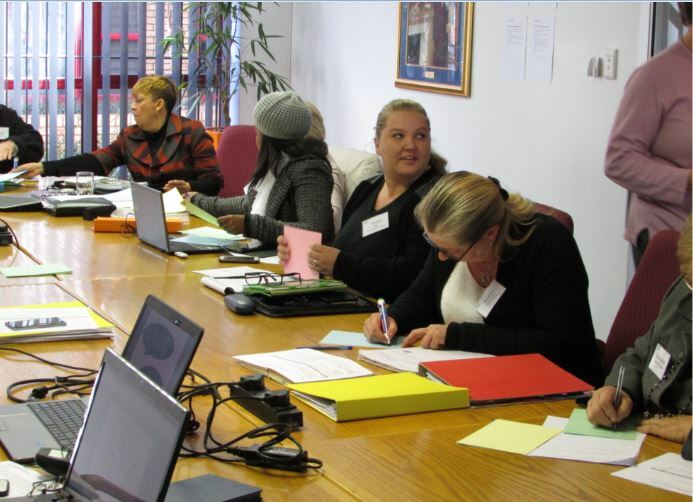 To find out more about the ECD Quality Toolkit, please click here.